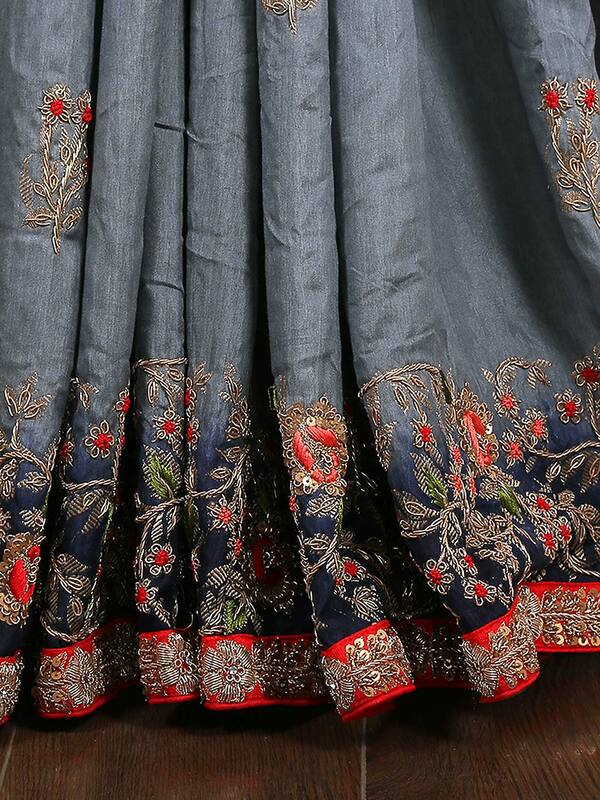 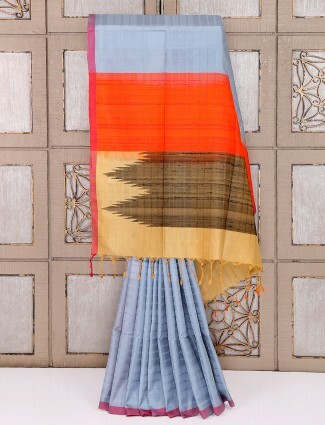 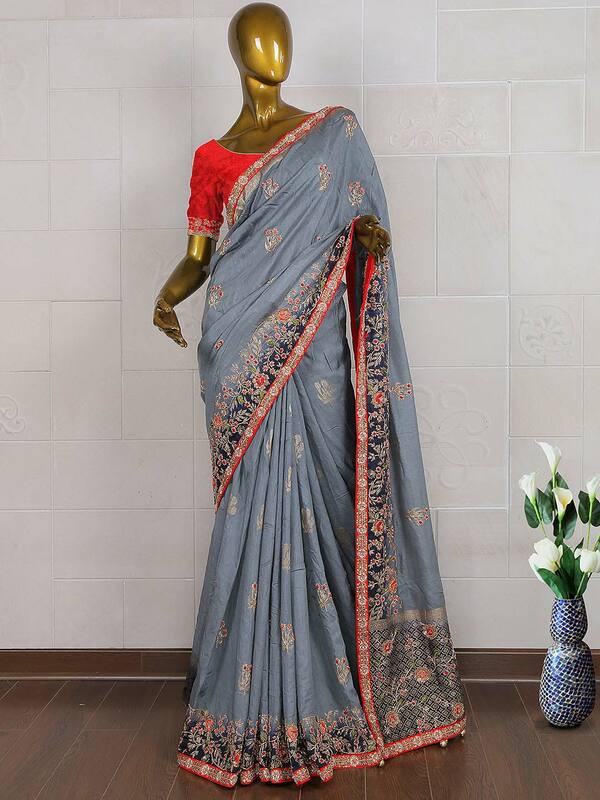 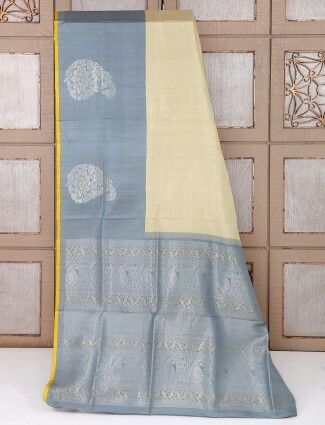 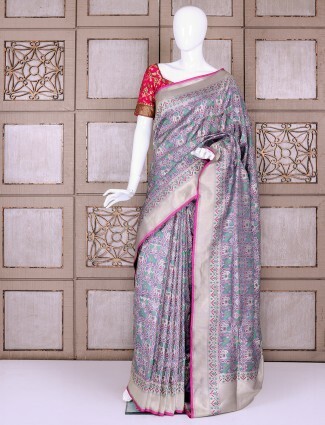 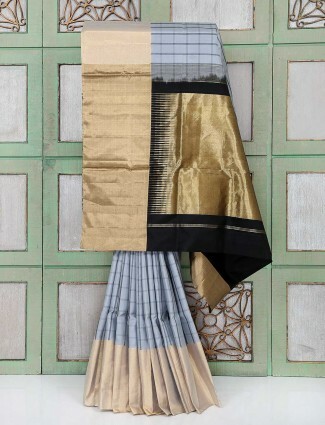 Grab everyone’s attention by wearing this gorgeous grey hue silk saree. 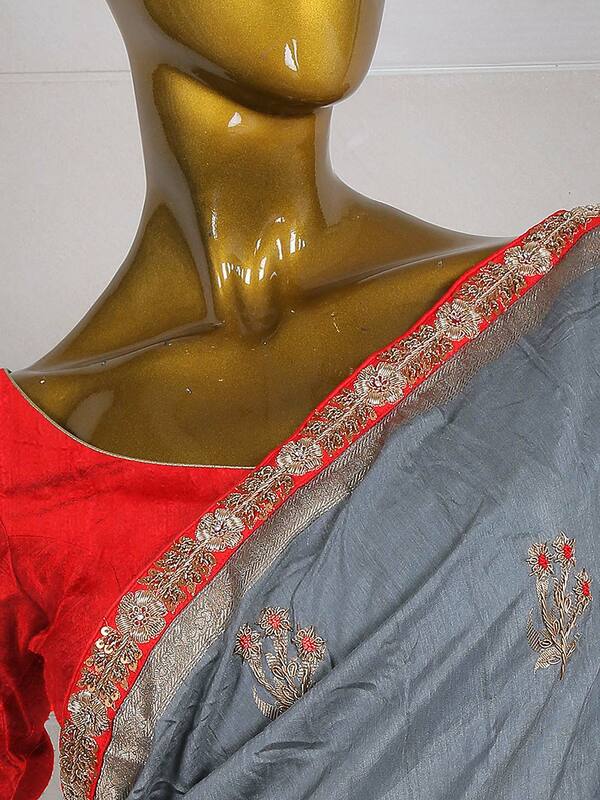 Decorated with zari, zardosi and sequins work through out the attire. 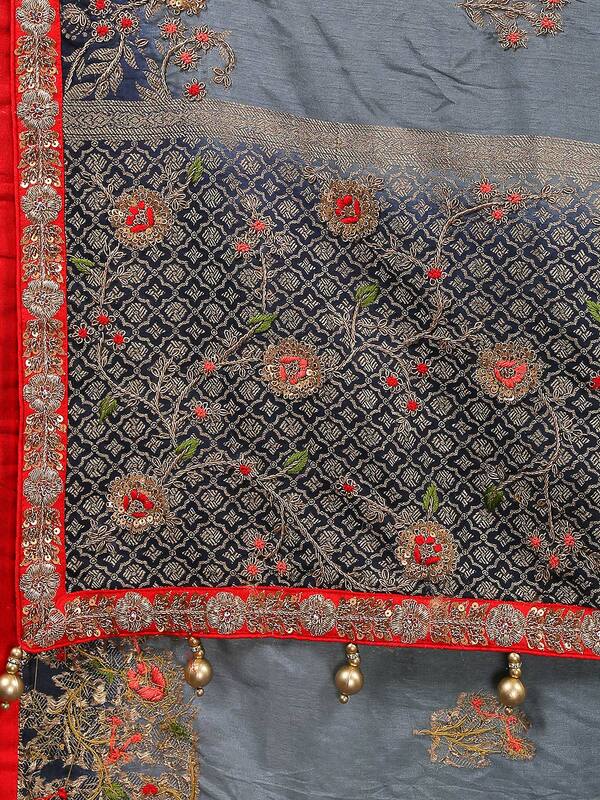 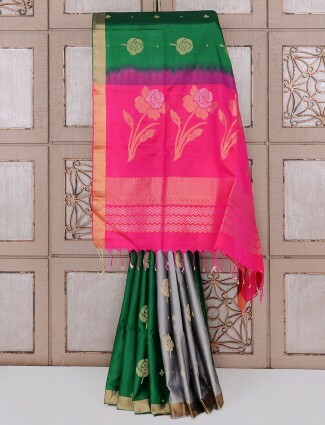 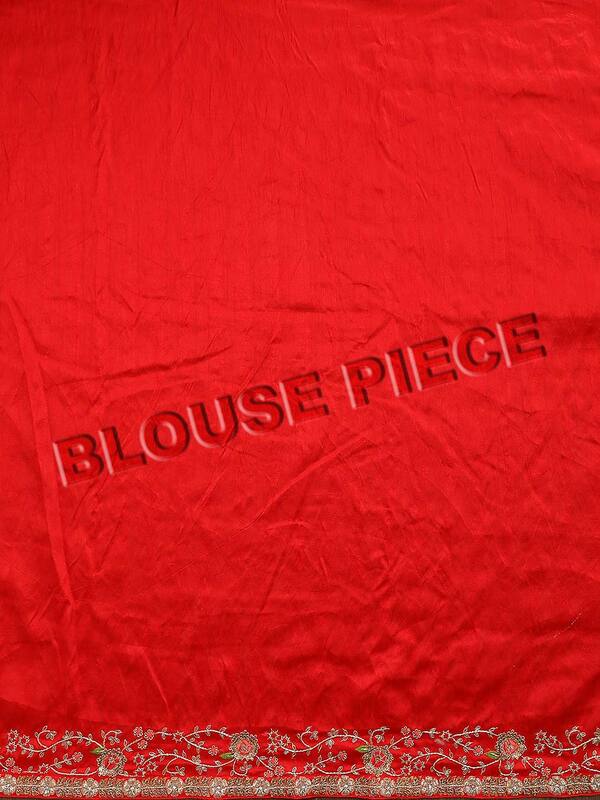 Available with unstitched blouse piece.